i was changing my address with what i thought was the usps, clearly it was not. 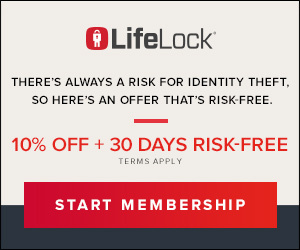 i never saw any amount of money, so i assumed it was the normal $1.00 fee for identity verification. wrong!!!!! i checked my bank account there is a hold for 59.95. i called the usps while on hold i looked closer at my bank card hold and saw the name of mypostalchange as the authorized person placing the hold so i then googled them and saw a phone # to call and saw all the complaints filed. i did speak with someone and have been issued a refund for all but $1.95 supposedly. this is crazy please warn everyone, i don't see how this is allowed to happen and not be shut down or a lawsuit placed against them!!!!!!! i can only imagine the people that they have taken advantage of and they aren't even aware of it. for me i don't have the luxury of not watching every dime i spend, so thankful for that in this case!!!!!!! I thought I was on post office webpage to change my address. This company charged $79.95 for address change and my mail has still not been forwarded. Scam!!!! Pretending to be U.S. Postal service - Scammers!! 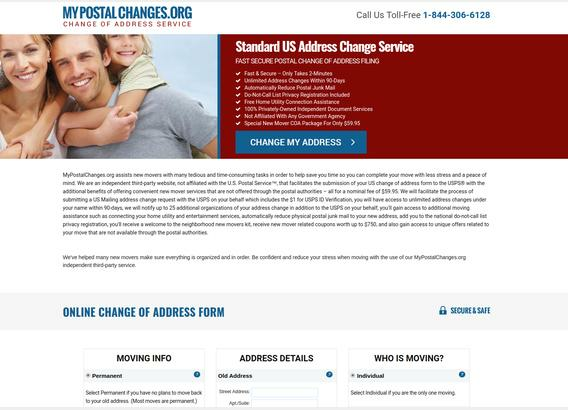 Clearly this faux is out to defraud people by making them believe that they are at the official post office site.... even their email address: "mypostalchanges.org" sounds like innocent enough to make people think they are at the legitimate official postal cite to make address changes.... typically, the charge is somelike like $1 or so - however, I was in for a shock when I received my credit card statement for $79.95 and called them and told them that I did NOT agree to pay $79.95 to put in a forwarding address!!! I demanded my money back, still waiting for the refund!! I disputed this fraudulent transaction to my credit card and closed the account/card. This is FRAUD and DECEIT!! to make people believe that they are at the public postal cite changing their address! I went to the bank and closed my credit card - This company should not be allowed to continue to do business tricking people!!! BEWARE!!! OF MYPOSTALCHANGES.ORG!!!! I thought I was changing my address and it would be the standard charge of 1.00 to change online but I just checked on my account and I was charged $79.95 and still haven’t received any mail forwarded at my new home yet . What can I do next and how can I be refunded ? was trying to change my address at postoffice and was charged 79.95 for this and I did not agree to this, and this did not change my address. This was done on 6-24-18. Message: mypostalchanges.org Put in for a simple address change. Did not need any services nor did I use any services offered by the site. I thought there was a $1.00 charge, not $79.95. In small print is text stating they are a referral company. I have notified bank to cancel payment, will call to stop within 60 days. Ironically, it was 4-10-18 when I put in change of address and 5/2 when my card was charged the excess funds. Very sneaky and unethical.